Put your Toyota, Lexus, or Scion vehicle in the trustworthy hands of the experts at Toyworx. We specialize in keeping your vehicle running reliably for as long as you own it. When you become a part of the Toyworx family you can simply let us worry about your vehicle’s wellbeing. Our customers and their vehicles benefit from our free reminders that let you know when it’s time for service and preventative maintenance. Our trained and certified mechanics take special care to ensure that you and your vehicle receive the personal and honest up-front experience that only Toyworx can provide. Unnecessary fluid changes and flushes as well as the use of incorrect fluids can cost you thousands over the life of your vehicle. At Toyworx we only perform the factory recommended maintenance at the manufacture’s scheduled intervals. Don’t risk losing your factory warranty! All oil changes and other service requirements performed by Toyworx make use of manufacturer-recommended fluids and lubricants so your factory warranty remains intact. Toyworx specializes in all manufacturer recommended services such as complete tune ups, air filter, transmission service and fuel filter replacement, fuel injection cleaning, timing belt replacement, valve adjustments and more. 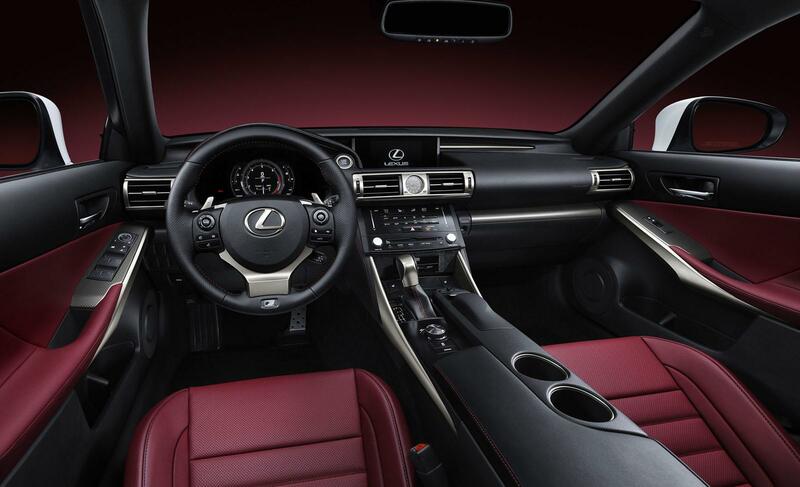 We use only genuine Toyota, Lexus and Scion parts. Toyworx offers over 16 years of factory level quality experience with vehicles just like your Toyota, Lexus and Scion, giving Toyworx an advantage over other full-service shops that work on all makes and models. At Toyworx you receive the fair pricing and warm welcome of a small town local shop with the top-notch advanced service that only a dealer can provide. Toyworx Automotive started in 2004 as a vision of superior service at a competitive price and the welcome feeling of a small town local shop. We specialize in Toyota and Lexus vehicles only so we can bring you top notch service at fair prices. Toyworx Automotive has over 16 years of factory Toyota experience. 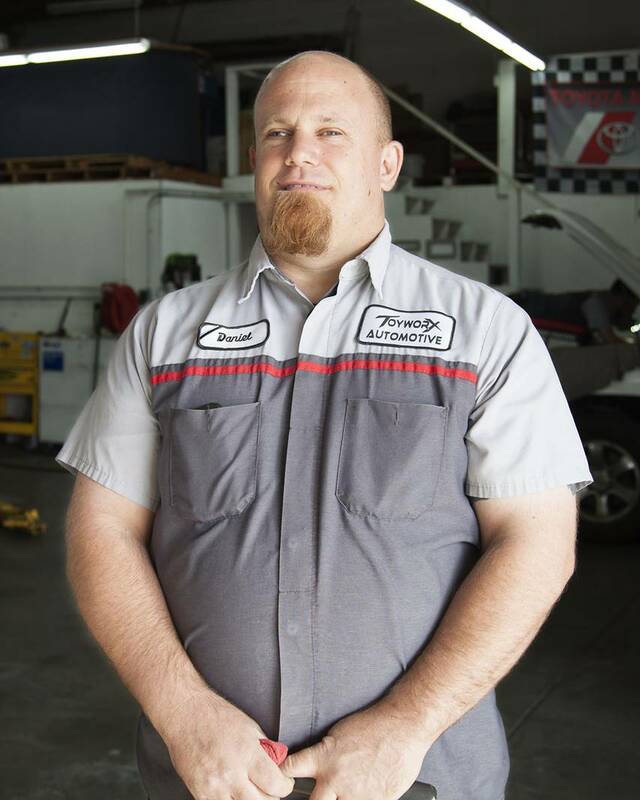 Daniel Arndt was a Toyota master certified technician and Toyota master diagnostic certified for over 10 years. 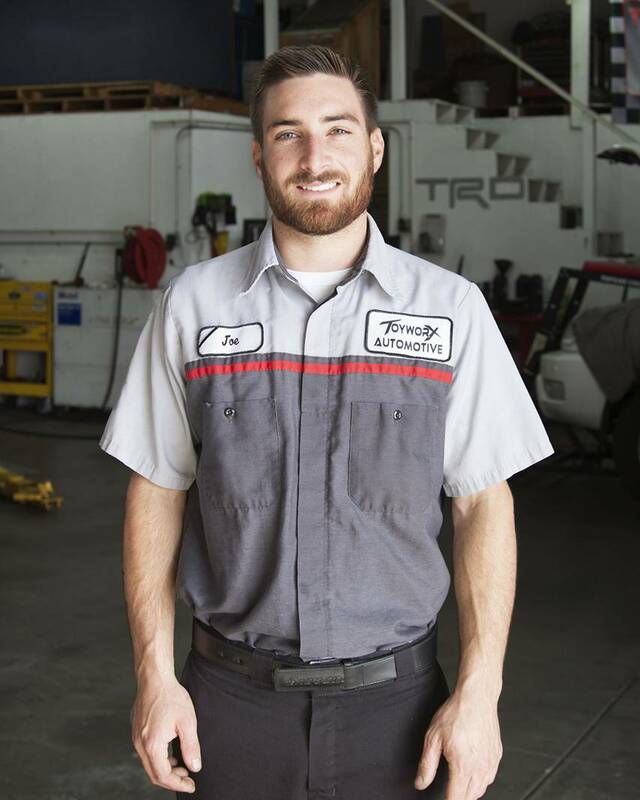 Daniel Graduated from the Toyota technical education program in Ventura, CA. Daniel is also ASE master certified and hybrid certified to handle all of your hybrid needs. Joe started with us in 2010. He has been trained from the ground up here at Toyworx, so top notch automotive repair is second nature to him. Joe is an ASE certified Technician. 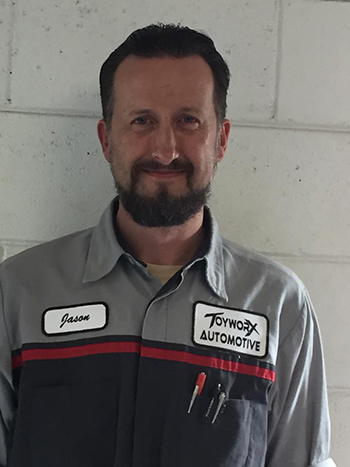 Jason Marsh is a Toyota Master Diagnostic Technician with over 15 years dealer experience and is also a licensed smog technician. Jason recently competed for Toyota in the Master Diagnostic Skills competition for the LA region as one of the top 16 techs for Toyota. At Toyworx we believe in keeping a clean and modern shop with all the latest equipment to keep our customers on the road. We use the most up to date factory diagnostic equipment ranging from our factory scan tool to our new state of the art on car brake rotor lathe. We have online access to all factory repair manuals and service bulletins to help get you on the road as quickly as possible.